Imagine one of your sales reps is out in the field to meet a prospective customer.You decide to provide him information regarding some latest products to give him a better sales pitch and improve customer satisfaction. But how do you go about offering him that information? This is where Performance Support comes in. Performance support is basically placing the right information and access to that information in the hands of your employees, right when they need it. It is a learning modality that is accessible and applicable at the moment of need, and one that provides employees valuable information, making it easier for them to do their jobs. Gloria Gery, author of Electronic Performance Support Systems, defines it as “an integrated electronic environment that is available to and easily accessible by each employee and is structured to provide immediate, individualized on-line access to the full range of information, assessments and monitoring systems to permit job performance with minimal support and intervention by others“. How does performance support differ from training? The main difference: Performance support does not equal training. In fact, it is a part of training. To be more precise, training involves learning a new skill or expanding upon a previously learned skill. Whereas, performance support helps apply the new skill to solve problems one encounters at work by offering timely assistance. Unlike training, performance support steers employees in their jobs rather than teach or train them a particular skill. Goal: The ultimate goal of training is to offer knowledge to the employees so that they gain skills essential for the job. But performance support is targeted at the task at hand and goes where the work is, rather than taking employees away from work to go to the training. It enables them to finish tasks by referring to job aids and materials (in the form of PDFs) on the go. Compared to training, the right performance support will allow them to solve the problem at hand within minutes, whereas the entire training on different workarounds could cost an hour or more. How can you offer performance support through mobile learning? As popular as the word mobile learning was, there was another buzzword that grabbed just as much attention – mobile devices. The message at mLearnCon 2015 was pretty clear – mobile learning is more than learning. It is learning PLUS performance support. The corporate world has shifted from offering classes on mobile devices to creating and designing mobile apps that seriously integrate the power of learning and support. 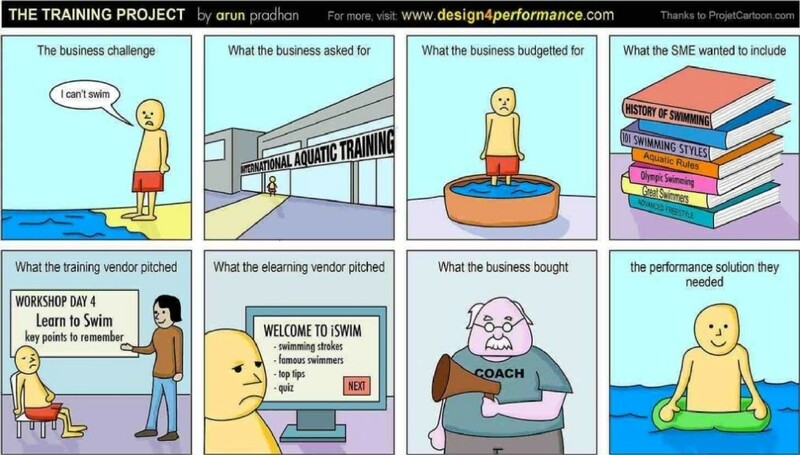 So when and where does performance support come in handy? What are the key moments of need when it actually works? There are two answers to this question. From this, it’s quite evident that performance support is vital to hone the quality of skills and their execution. With the rising adoption rates of mobile learning technology in the business world, performance support can benefit hugely from mobile devices. Let’s see what they can really offer. Allow me to make a case that mobile devices and performance support are truly made for each other. The ubiquity of mobile devices in itself solves most of the challenges as it is the perfect delivery channel wherever performance support is needed. They are the tools everybody carries around, so using a mobile device for performance support is a natural. But how does it complement Just-In-Time support? A recent example of how mLearning offers JIT support is SONIC. SONIC offers a variety of food items (nearly 400,000) that are assembled by carefully going through scores of customer orders. They needed to train their staff on how to prepare individual food items on the extensive and rapidly evolving menu without interrupting their work timings. 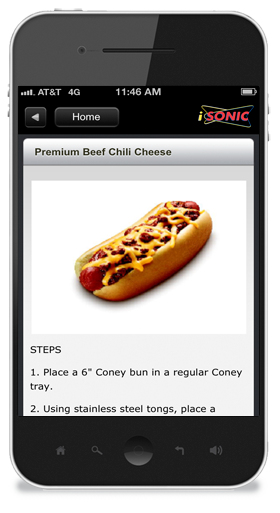 So their in-house development team concentrated on delivering small bites of information via the mobile app.As a result, whenever somebody wanted to see how to make a SuperSONIC Double Cheeseburger, they could do it on the go. Mobile devices are not merely channels to access information. They can be helpful in a lot of other ways. With their ever increasing computation power, mobile devices are really powerful devices, which mean they can store huge amounts of data. This feature can come in handy when users are not connected to the Internet but want to access information. For example, if someone on-field is stuck in a remote area with no access to the Internet,they can still fix a customer’s problem by accessing a short video or trouble-shooting guide stored on their mobile device. There’s been a sharp increase in the usage of videos in mLearning (and eLearning) to deliver performance support. A two-to-three-minute video can have as much impact as a 10-page manual. Videos make it possible to have troubleshooting help and how-toguides on-demand, just when employees need them (both offline and online). They are ‘ideal’ for demonstrating a fluid sequence of physical steps, or to give an immersive experience of a case study or simulation. Videos also work well for explaining and illustrating specific concepts. Videos may not always be the answer, but they do have real strengths over other options such as audio, or still images. Here’s a short video that shows the true power of videos. Think of performance support and mobile learning as the perfect couple, which gives your employees quick access to complex software and business processes they use every day. It is just enough, just in time, assistance accessible in a few clicks and mere seconds!